How the American Meteorological Society Justified Publishing Half Truths | Watts Up With That? Background: In 2000, the Bulletin of the Meteorological Society published “Impacts of Extreme Weather and Climate on Terrestrial Biota by Camille Parmesan, Terry Root, and Michael Willig. The paper introduced to the peer-reviewed literature analyses by Parmesan that extreme weather events had caused an extinction event in California’s Sierra Nevada and advocated the extreme weather was the mechanism by which global warming was driving animals northward and upward as Parmesan claimed in her first controversial paper discussed here. According to Google Scholar, the BAMS paper has been cited by 324 consensus articles. Thomson Reuter’s Essential Science Indicators report that by December 2009, Parmesan went on to be ranked #2 among highly cited authors for papers devoted expressly to global warming and climate change. Because Parmesan et al biased their conclusion by omitting observations that all other individuals in the surrounding natural habitat had survived better than had ever been observed during the same weather events. Only the butterflies that had recently colonized a novel plant species in a highly disturbed logged area had been extirpated. If all observations were honestly presented, it would have been both an example of nature’s resilience and an example of the effect of landscape changes on microclimates. By omitting half of the data, their paper manufactured an illusion of extreme climate catastrophe as discussed here. So I requested an official retraction. It was no more honest than Enron officials leaving half the data off their books. Nonetheless, Parmesan’s illusion was immediately adopted by top climate scientists David R. Easterling, Gerald A. Meehl, Stanley A. Changnon, and Thomas R. Karl who immediately invited Parmesan to co-author the paper Climate Extremes: Observations, Modeling, and Impacts published in the journal Science. The bulk of that paper showed there was no increase in heat waves, droughts or other catastrophic events, but they then offered Parmesan’s half-truths to suggest just few extreme events related to climate change will cause grave ecological disruptions writing “In wild plants and animals, climate-induced extinctions, distributional and phenological changes, and species’ range shifts are being documented at an increasing rate.” However that paper’s only example of “climate-induced extinctions” were Parmesan’s butterflies and amphibian extinctions at Monte Verde as discussed in the unsupported story of the Golden Toad discussed here. This new paper, according to Google Scholar, was then cited by over 1790 consensus articles. In light of the rightful objections that “pal-review” can create a false illusion of a paper’s scientific objectivity (that resulted in Copernicus Publishing terminating the skeptical journal Pattern Recognition in Physics), I encourage climate scientists James Annan, Gavin Schmidt and others who objected to “pal-review” to join me in asking the American Meteorological Society to reprimand and retract papers that knowingly omit data that undermine scientific integrity. I encourage readers to respectfully email the American Meteorological Society amspubs@ametsoc.org or kheideman@ametsoc.org and share your opinion about whether or not their reasons for not retracting the paper were valid and in the best interest of science. Dr. Rosenfeld at jrosenfeld@ametsoc.org was the editor with whom I was communicating, but he mentioned having some health issues, so to be kind I suggest your opinions be sent to the first two email addresses. Scientific conclusions command greater respect over a casual opinion because 1) it is assumed rigorous methods were used to eliminate any other confounding factors that could equally explain the phenomenon in question, and 2) it is assumed that the editors and peer reviewers double-checked to ensure all the known confounding factors had been carefully considered and eliminated. The publication of Parmesan et all (2000) “Impacts of Extreme Weather and Climate on Terrestrial Biota” failed to report well documented confounding factors that would have completely altered her conclusions. I assumed that once the editors became aware that contradictory evidence was knowingly omitted, that the paper would be retracted. I am not only disappointed by AMS’s decision, but frankly, I am appalled by the AMS’ justifications. It undermines the very foundations of proper scientific investigation and reporting. Your justifications are in red, my comments in black. 1. AMS guidelines stipulate that we look for “convincing evidence that the main substance or conclusions of a paper…are erroneous.” The main substance of Parmesan et al. is the “evidence…that extreme weather events can be implicated as mechanistic drivers of broad ecological responses to climate trends.” The paper presents convincing evidence of this from a wide variety of sources. In addition, both the main conclusions–that “extreme weather events…are, therefore, essential to include in predictive biological models, such as doubled CO2 scenarios”–and the related recommendations (sections 7-9) rest on sufficient evidential weight. The negation of one piece of the evidence would not change the validity of the paper’s main substance or conclusions: thus retraction is not warranted. You are arguing that publishing an untruth because it only comprises about 15% that paper is totally acceptable. Such reasoning is very disturbing. For example even though the “substance” of a paper advocated the benefits of 6 or 7 cancer treatments, if one treatment was known to be falsified, would you not retract the paper because it could have serious repercussions? Just what percentage of misleading evidence is considered acceptable in the AMS guidelines? Just because Parmesan’s paper also listed examples of organisms reacting to weather, it does not justify publishing a knowingly faulty conclusion. Citing her previous controversial papers she concludes her introduction stating, “Mounting evidence indicates that species are currently responding to twentieth century warming by shifting their ranges poleward and upward in altitude” arguing “infrequent and severe climatic events, via short-term responses at the population level, appear to have driven a gradual range shift in this butterfly species.” But the butterflies never shifted their range as the populations that thrived remained stronger and healthier than before. She had observed butterflies in the natural habitat thrived, demonstrating the butterflies were well adapted and that the weather was not extreme, but most beneficial. Only by omitting those observations could she ever suggest extreme weather was driving the butterflies northward in support of global warming theory. 2. Parmesan et al. is a review paper and thus necessarily omits substantial amounts of information in order to interpret a wide selection of published literature. The selected facts from Singer and Thomas 1996 and Thomas et al. 1996 are correct and inclusion of the omitted facts wouldn’t alter the point that E. editha studies “have implicated three extreme weather events in carving a pathway to extinction” (or as you put it, “Weather is involved in each and every wildlife boom or bust”). The omission is reasonable given the focus of the review paper. It is absolutely appalling that you defend “omitting substantial amounts of information” by simply characterizing her work as a “review” paper. In fact her interpretation was not a review, but was the first time such an analyses was introduced into the peer reviewed literature. Based on false credibility, the manipulated sections of this “review” paper were then erroneously repeated in other papers by our top climate scientists. The main substance of the authors’ “review” suggested that small changes in temperature or extreme weather COULD have dramatic impacts. In one example the author highlighted how the temperature in turtles’ nests controls the hatchlings’ gender. That is true. But turtles have shown tremendous resilience through 60 million years of far greater climate change. Parmesan mentioned that indeed the real threat to turtles has been landscape changes, not climate change. If Parmesan had reported the observation of thriving natural populations of butterflies that benefitted during those weather events, their review article would have also supported the fact that natural systems are quite resilient to weather, and the main concern is landscape change not climate change. In fact Parmesan acknowledged “studies of biological responses during the Pleistocene glaciations indicate that natural systems were fairly resilient to rapid climate change.” By manipulating her data presentation in her butterfly studies she tried to suggest animal populations are now more fragile. Furthermore the paper offered absolutely no meteorological evidence to support her contention that the weather was abnormally “extreme”. The weather was characterized as extreme only by associating it with the extirpation of a small group of butterflies that had opportunistically colonized a highly disturbed habitat. If the observations of increased survival just 20 feet away were also included, characterizing the weather as deadly or extreme would lose all justification. 3. Your objection to Parmesan et al. 2000 stems from a difference of interpretation. 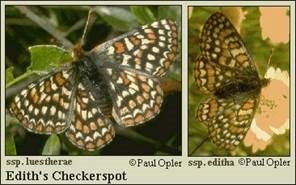 Singer and Thomas 1996 defined their sample of butterflies as two populations forming a “metapopulation” in order to characterize source-sink relationships. This precedent gives Parmesan et al. a reasonable basis for omitting information about the population that thrived. By contrast, you choose to treat the metapopulation as a single population, so as to guarantee that mention of one requires mention of the other, and you treat it as two separate “half populations” so as to make a distinction between natural and unnatural populations. Differences of interpretation about separateness or naturalness of the populations are not grounds for a retraction. Past researchers studying meta-population dynamics, assigned the butterflies to two different populations based on food preference. But that most certainly DOES NOT provide a reasonable basis for omitting the thriving populations in a climate study. By omitting the thriving population she omitted what would normally serve as a “controlled variable” in an experimental design. Consider the experimental design in a controlled growth chamber in which a researcher wants to investigate the growth and success of caterpillars feeding on two different plant species. Basic science requires the researcher to control for all confounding factors, in order to isolate the effects of feeding on the different plants. To ensure all the plants and caterpillars experienced the same temperatures, a researcher places the caterpillars and the plants in a growth chamber to replicate the natural range of temperatures. Now assume at the end of such an experiment, the caterpillars on plant “A” died, but the caterpillars on plant “B” had above average growth and survival. If the researcher dared to argue that the climate of the growth chamber caused the deaths, their conclusions would be immediately rejected, because the chamber’s climate represented a “controlled variable” that equally affected both groups. It was the choice of plants that was the deadly variable. And just because the researcher named one group A and the other one group B, it would not only be ridiculous, but fraudulent, to hide the results of a thriving Group B. Below is the published map of the study area. The circles represent the locations where butterflies thrived on plant “B” (Pedicularis). The ‘Xs” represent where butterflies were extirpated when feeding on plant “A” (Collinsia) after logging had removed the preferred host plant “B”. The two different “populations” were all within a few hundred meters of each other and as close as 20 feet away. Both populations experienced the same “climate change” and “extreme weather” just as assuredly as they would in a growth chamber. In the given context of attributing global climate change as a mechanism of extinction causing range shifts, omitting the great success of those individuals feeding on plant “B” was simply unscrupulous. And that the AMS would justify that omission, is a dark mark on its members and science in general that only contributes to a growing mistrust for politicized science. I still believe most of us cherish what Richard P. Feynman suggests is a “kind of scientific integrity, a principle of scientific thought that corresponds to a kind of utter honesty–a kind of leaning over backwards. For example, if you’re doing an experiment, you should report everything that you think might make it invalid–not only what you think is right about it: other causes that could possibly explain your results; and things you thought of that you’ve eliminated by some other experiment, and how they worked–to make sure the other fellow can tell they have been eliminated.” In contrast AMS has leaned over backwards to justify telling half-truths that supported catastrophic climate change. Such frivolous and nonsensical justifications only arouse deep suspicions that the AMS decision not to retract has been tainted by the politics of climate change. (Adopted by AMS Council 20 August 2012)” the society argued, “Evidence for warming is also observed in seasonal changes across many areas, including earlier springs, longer frost-free periods, longer growing seasons, and shifts in natural habitats and in migratory patterns of birds and insects.” Parmesan papers have been essential in creating the impression that rising CO2 has shifted natural habitat. But as demonstrated in the paper under discussion, if the whole truth was told, a much different story would emerge and fears of ecological climate catastrophe would give way to more rational analyses of landscape change and natural cycles. The AMS’ climate change statement also argued “Climate is always changing. However, many of the observed changes noted above are beyond what can be explained by the natural variability of the climate.” But in truth the extinction of this local butterfly population was much better explained by natural variability and landscape changes, and that again contradicts the AMS’s claim that natural variations can not explain current events. The AMS’ climate change statement claims the “AMS Information Statement intended to provide a trustworthy, objective, and scientifically up-to-date explanation of scientific issues of concern to the public at large.” Perhaps the AMS fears that retracting a faulty paper would call attention to the possibility that there may be more peer reviewed papers that are not so trustworthy, papers that demand more skeptical scrutiny. By not retracting a paper that so blatantly manipulated the data presentation, you bite off your nose to save your face. The justifications used to avoid retracting the paper suggests the AMS editorial policy strayed from being “objective, nor scientifically up-to-date”. That the AMS would justify publishing half-truths based on technicalities and spurious precedents taints the rest of the scientific community who strive to uphold science’s highest standards. It undermines the public’s trust in environmental science, making it much more difficult for us to convince others about cases where we truly need better environmental stewardship. Good environmental stewardship demands unadulterated science to guide our policies, not the half-truths the AMS now condones. Thank you for this criticism. It’s amazing how tendentious advocacy and “post-normal science” are corrupting the honest search for truth. No surprise here I am afraid. We have individuals and groups that are so well invested in CAGW that they will never back away from their position, it would destroy their ego, reputation and standing, not to mention a fair bit of their livelihoods. 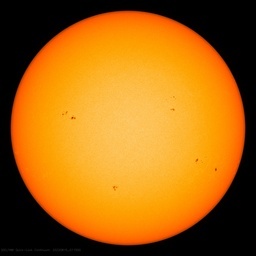 They will tell barefaced untruths, express ludicrous logic and throw scientific integrity and enquiry to the winds. They are now bunkering down just like Hitler did at the end of WW2 and will continue to issue their ludicrous pronouncements to a world that exists only in their fantasies. Cheers on your ongoing efforts to highlight scientific irregularities. Good luck but I believe you to be fighting an uphill battle. Your justifications are in red, my comments in black. It would be nice to have this preserved, or indicated via italics if the blog s/w won’t allow the red font for some reason.. It looks like the “butterfly effect” in action for policy and science consensus. But we had to lie to you, for your own good. The end justifies the means mentality is impervious to ethic and logic. “…the AMS editorial policy strayed from being “objective, nor scientifically up-to-date”. The “nor,” as used above, is neither grammatically correct nor part of the original quotation. Replace “nor” with “or” (outside of quotations) to fix it. A question I have asked before is, is the science being done on climate exceptionally very poor to bad at times, or is ALL science being done very poor to bad at times? I suspect the latter. Peer-reviewed papers may or may not be without errors, manipulations or fabrications. The Consensus is, however, that they are not in any substantial way in error. That is the justification for going with the flow on the peer-review conclusions. If one admits that bad stuff gets through, then all papers need to be considered works in progress and requiring external justification or validation. The MSM, government officicials and the likes of Al Gore and David Suzuki do no want us to say that everybody should have to justify everything they say. It would make them accountable. That would be a problem. I think our problem lies in the Biblical belief our authorities continue to get from us. If as a society we disbelieved, or at least held doubt until time and other experiences proved otherwise, we would be way ahead. But that would require two things: first, the belief that an interested and moderately intelligent person could audit/fact-check enough to make an educated decision, and second, that he would actually do it. She should come to Israel. Apparently the horrible Global Warming/Climate Disruption/Climate Change caused numerous species believed extinct to reappear. Also many animals and plants that have been battling are now flourishing and multiplying (sometimes to the point of causing problems due to too many of them). Just looking at the map, this is a pretty obvious case of partial habitat-destruction, not extreme weather driven by global factors. I understand that changes in vegetation can lead to significant differences in humidity and temperature-ranges even across 20 feet so it is possible that examining dead animals would suggest the cause of death to be weather. If that were the case, then I could see an argument being made that sudden changes in weather would have grave impacts. However, in this case, something tells me that the sub-population feeding off the disfavored source just migrated when it found that source to be unstable. On that note, it is totally inappropriate to count two populations where a member of one could convert into a member of the other by migration, which are within migratory range of each other, as separate. The response said that this was done for the sake of the source-terms, but that falsely attributes changes due to migration to those source-terms. As that was the basis for setting up studying the better-understood half of the data, this immediately invalidates the use of over half of the underlying evidence by destroying its relation to any reasonable model. The other half of the evidence, alone, does not really support the conclusion as applied to its most commonly addressed and important problem, that of extinctions. Without changes in population even beginning to occur, from what I understand, changes in timing alone are not problematic to local ecology. 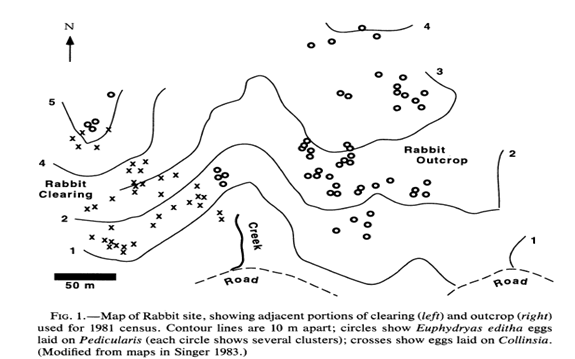 The circles represent the locations where butterflies thrived on plant “B” (Pedicularis). The ‘Xs” represent where butterflies were extirpated when feeding on plant “A” (Collinsia) after logging had removed the preferred host plant “B”. “I encourage climate scientists James Annan, Gavin Schmidt and others who objected to “pal-review” to join me in asking the American Meteorological Society to reprimand and retract papers that knowingly omit data that undermine scientific integrity”. But you know that’s not going to happen. Why pretend? I thought they had to get permission from the pretend Noble Laureate (Kevin Trenberth) before they couild retract a CAGW paper! The whole point is what they and in particular Camille Parmesan, Terry Root, and Michael Willig did was NOT SCIENCE. It was just sloppy field work compounded by either sloppy or deliberately slanted summarising of the data. Perhaps the other Non Eco related scientists belonging to the AMS should be notified of this situation, perhaps they will have enough entegrity and pride to get something done about it. Jim, it takes a great deal of effort to do what you are doing. It is important to document it as you are doing and history will be the ultimate judge. Thank you. If you measure only the exhalations of human beings you would come to the conclusion that we produce oxygen. Would the editors accept and publish that conclusion or would they reject my submission with the complaint that I discarded half the data? WAY TO GO — you Super Warrior for Truth in Science, you! I’m sorry to hear the Rosenfeld is ill. He strikes me as a sincere, conscientious, man who has discovered that he is serving a gang of thugs and would really like to get out, but hasn’t found a career-safe way, yet. I hope he can. I hope that your colleagues (there was a butterfly expert who commented on WUWT a few months ago whose opinion I thought would have especially great weight) will keep up the pressure. Hang in there, Jim, in the end, TRUTH WINS. “Would the editors accept and publish that conclusion… ?” (Rob Dawg) LOL. You bet they would — if their jobs depended on it. We’re well aware of this Premier and her UN background – her global warming attitude, which changes when she comes up to the oil sands that supplies most of Alberta’s capital – then she changes her message once again. A politician – which is somewhat like a climate scientists – neither knows what truth is anymore. Once again climate ‘science’ shows how professional working in this area cannot even meant the standards expected of any undergraduate handing in a essay . Tw oquestions , 1is there actual any standards in climate ‘science’ ? and 2, if the professional way of working is the ‘highlight ‘ of the area, as you normally expect, just how easy is it to get degree in it ? The premise that nature is static and only changes in response to human activity is silly on it’s face. Because we have had 17 years of no increase in temperature and about 5 years of a slight downward trend, have the butterflies moved back down the hill and toward the equator? Most of these studies are just a waste of time and money. These government paid scientist need to be out on their ear and seeking employment in areas that help fellow humans live a better life. That is creating goods and services and increasing wealth. Don’t poo poo honest investigations of any sort. We now know that micro-climate changes cause species to stress or enhance or induce adaptation. We now have further evidence of all three. Ambivalent findings still add to the sum of human knowledge. A question I have asked before is, is the science being done on climate exceptionally very poor to bad at times, or is ALL science being done very poor to bad at times? ALL, look at the medical field and the retractions and out right fraud. That is just a quick grab from my long list of book marks. We now have a culture where cheating and lying are excepted as the norm. PLEASE reread your postings carefully before sending them. In one posting I found “meant” where the writer apparently meant “meet”, and “To oquestions , 1is” (followed by plural subject), along with other errors. This many errors makes a posting almost unintelligible and most of us will just skip over it without mentally making the necessary corrections. So the conclusion is there is something cheesey in Parmesan’s work. Thanks for pointing it out! Just curious to see if red shows up as red. Nope, setting a color with the style attribute isn’t allowed. Thanks Jim Steele for the informative and excellent article. A bit hard to read. The color distinction you employed to isolate justification and reply did not come through. Anthony, can you restore some distinction, such as blockquote or italics? Your efforts are appreciated, Jim. I belive Larry Huldén from Finnish Museum of Natural History had something to say on the subject. I would like to hear more from him. I am not surprised that pal-review lets the crud through and masks truth.